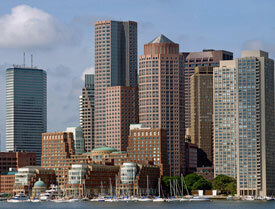 0	Does Boston’s Financial District Office Market have a Bright Future? Yes, the Financial District can rest assured it will live to lease more space. Remember, this is the largest concentration of office space north of New York City, combined with great access via water shuttle, commuter rail, T, bus or car. Change is inevitable, however, and the Financial District landlords will need to continue with capital upgrades and tenant amenities to meet what today’s TAMI tenants and traditional tenants are seeking.